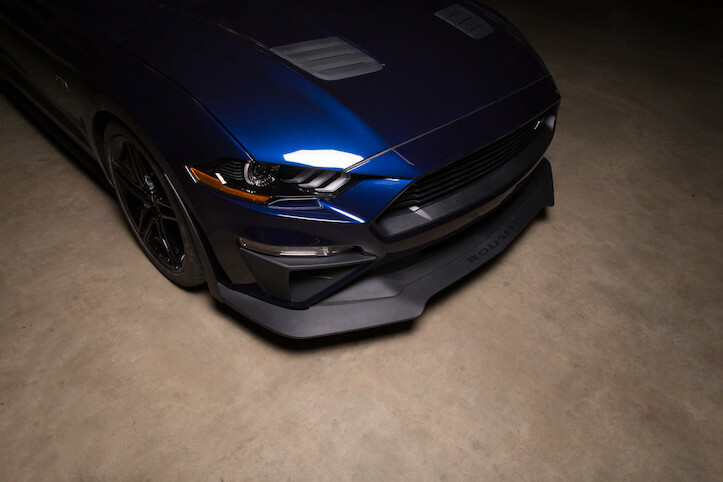 With the introduction of each new body style of the Ford Mustang, ROUSH is always eager to get our hands on not only the powertrain, but the appearance as well. The same was true with Ford’s 2018 Mustang, a revamp on a body style that we have worked closely with for the past two years. We spent time designing and creating a line of 2018 ROUSH Mustangs that we hope you love as much as we do. Now, the same body components installed on them in factory are available for retail purchase! Currently available are ROUSH corner pockets, lower grille, rear aero foils, chin spoiler with canards, and hood heat extractors. Each piece is designed to fit seamlessly to the 2018 Mustang, and is constructed of OE-quality materials. Get your hands on the entire line today!